Stigma can have a devastating impact on the lives of people with mental illness and their families, friends and carers. It’s still one of the greatest barriers to people seeking help and recovery. Mental illness impacts all Australians and no family, workplace or community is unaffected. It is estimated that one in four Australians will experience a mental illness in any year and one in two Australians will experience a mental illness in their lifetime. But only around 35 per cent of affected Australians actively access services for mental health problems because of this stigma. 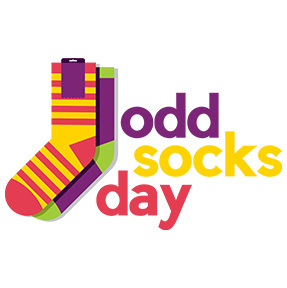 Odd Socks Day is a light-hearted approach to remind people that anyone, at any time, can have an odd day. There are a number of ways that you can help on Odd Socks Day – or any day of the year for that matter! Please put your best foot forward and help people with mental illness land on their feet.